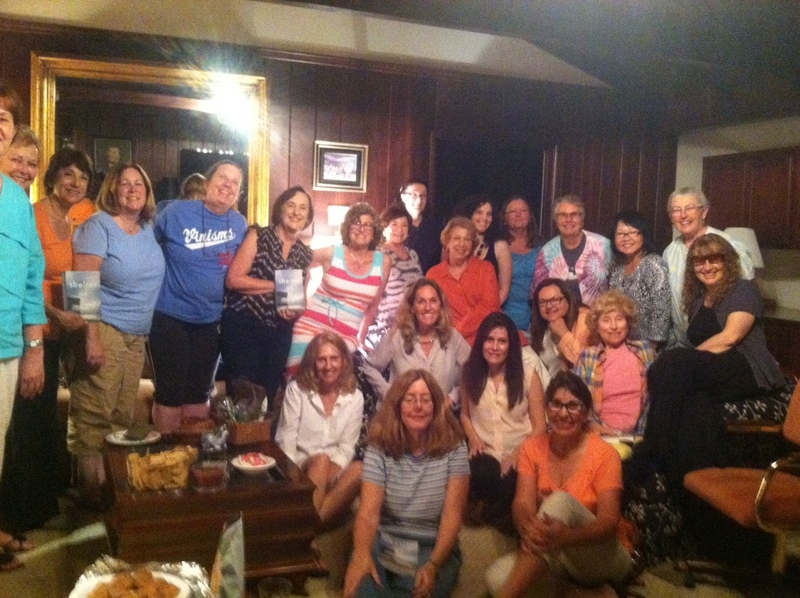 A couple of nights ago I spent an evening with a book club in Culver City. Let’s call them the Brilliant Educators Book Club. They would never be so presumptuous as to give themselves that name, but after one member introduced everyone in the room, with the name of the school(s) where they had taught or been principals, or the educational foundation they had headed or volunteered for, or the school board they had presided over as president, I think it is an apt description. It was an honor to sit in the Author’s chair at their meeting, for my book to have been given their care and attention, and most of all, to hear that I had created a family about whom they cared deeply. Thank you, Brilliant Educators. I loved every minute, and hope you did, too. Have a book club you’d like me to visit? I would be happy to hear from you!